By now the cowgirl life has been left in the dust! Back to reality and piles of mail. Our son-in-law loves to fly fish, and he had many perfect days of doing just that while he and our daughter and little granddaughters were with us in Wyoming. I even took a lesson in “casting” but I believe maybe sewing is more my forte! Enjoy those beautiful NC mountains – a bit of my heart and soul will always be there. The Vogue blanket coat is so nice! 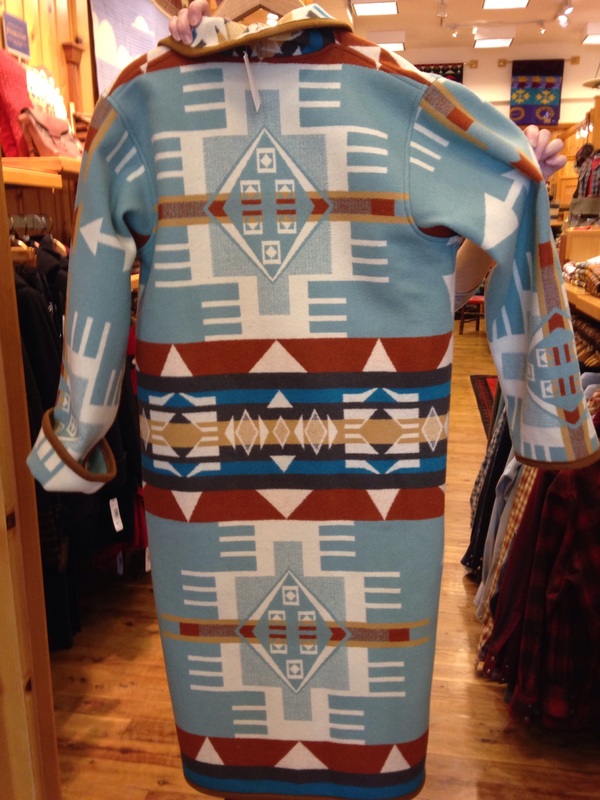 I like the simple stripes….but that Pendleton blanket on the last picture is dreamy. The colors are soft and the dark (is it black?) center line is wonderful contrast! I think you should give in to temptation. Sounds like you’ve a most delightful holiday! That dark center line on the blanket is black. 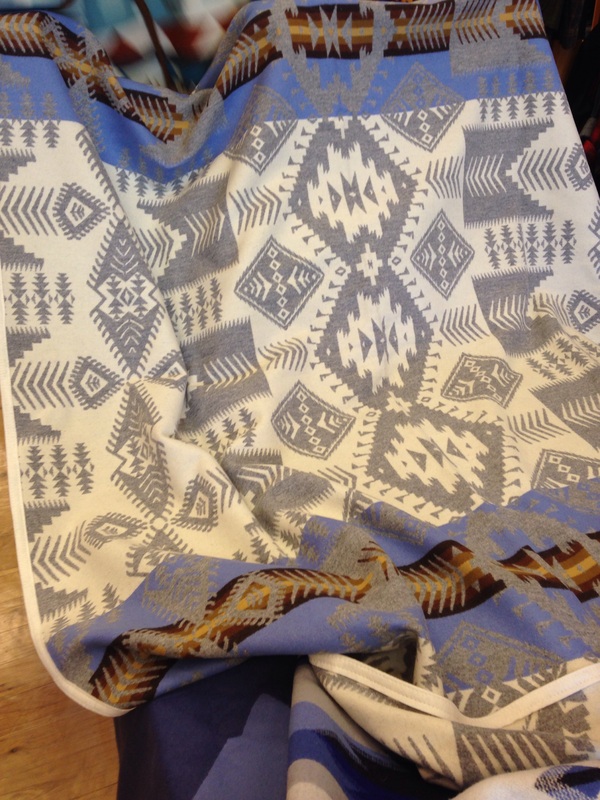 The sales staff said they have sold this particular blanket to several of us “silver-haired” gals as the colors are so becoming to our coloration. It would make a lovely coat, for sure! Haha might have to have it in reserve for when I allow my silver to come out of hiding! The clothes were very nice. 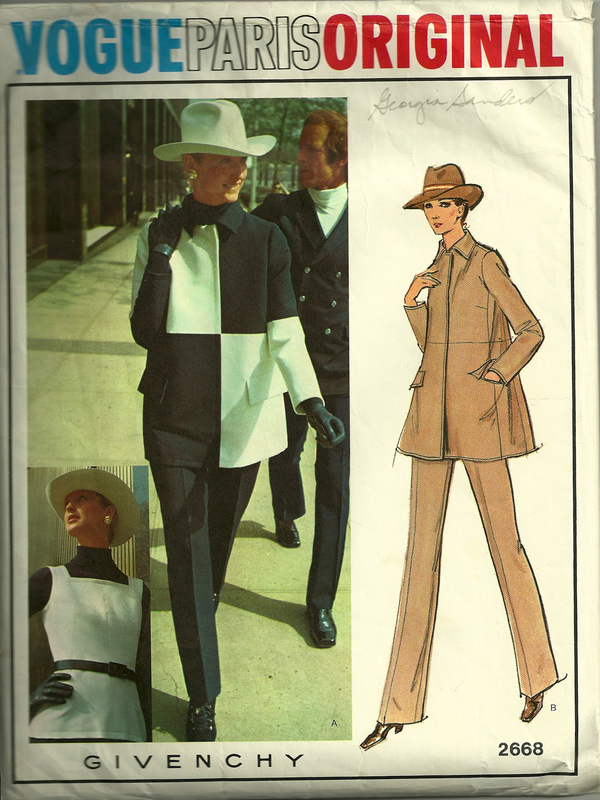 And the design of ladies clothes were great. Thank you, Ranas! So glad you liked them! Wow, that’s sounds like a wonderful month out west with your family! You must have had a ball with the grandkids. So nice you could have a good long stay. 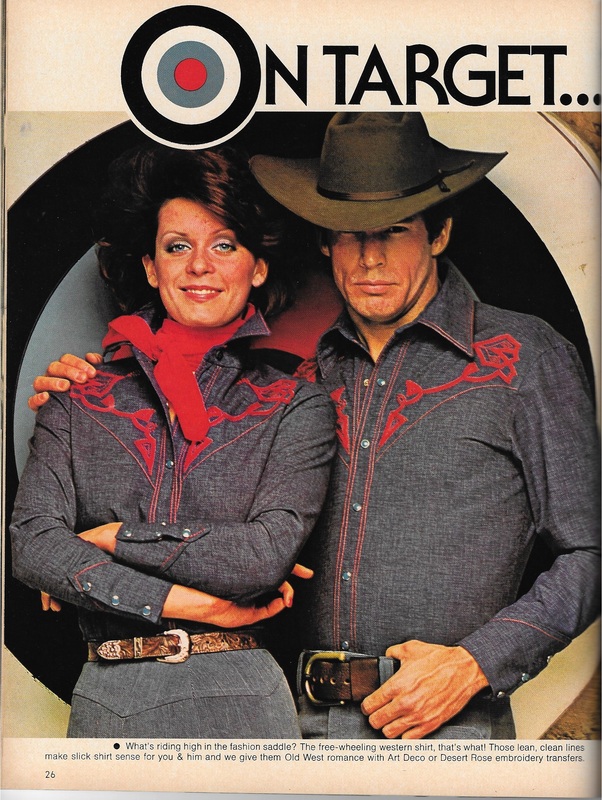 I’m partial to anything cowgirl since being hooked on TV Annie Oakley way back when! 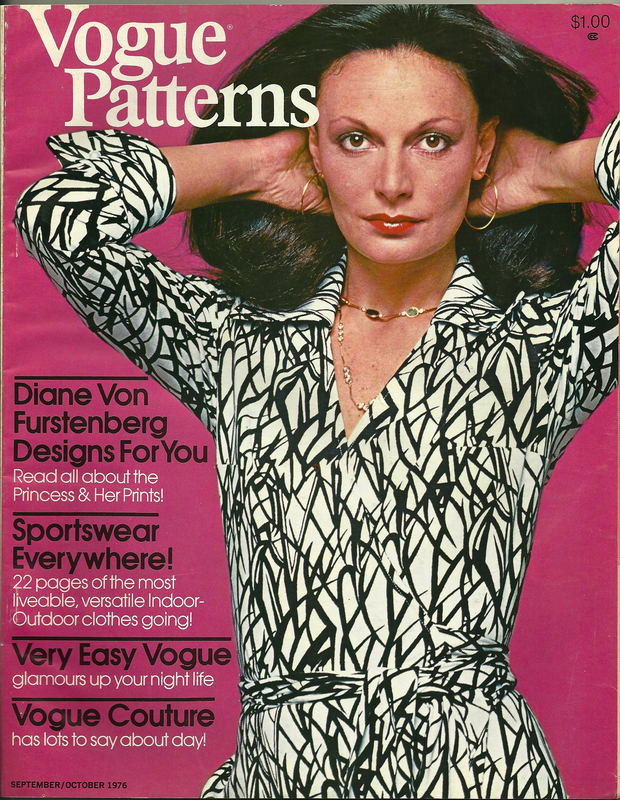 In fact I had that Vogue pattern for the shirts….not sure where I thought I would wear it here in Rhode Island. 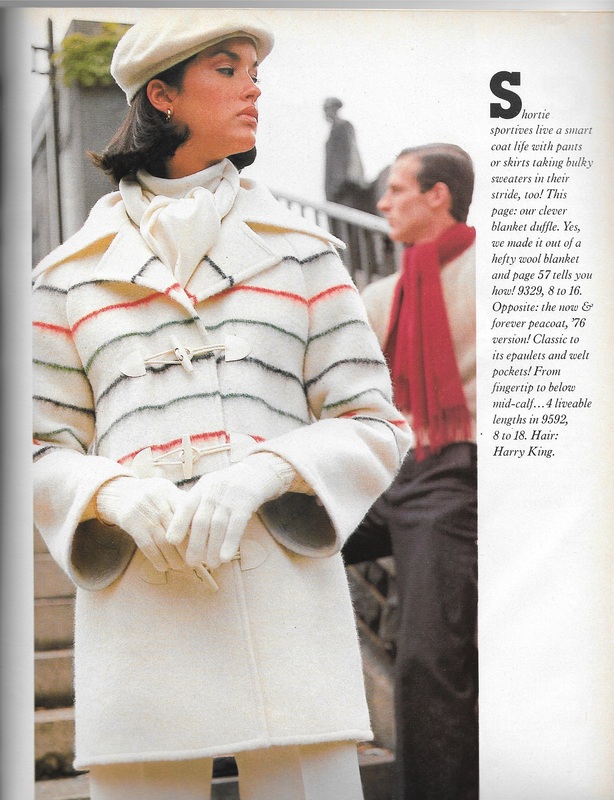 Interesting about that blanket coat! 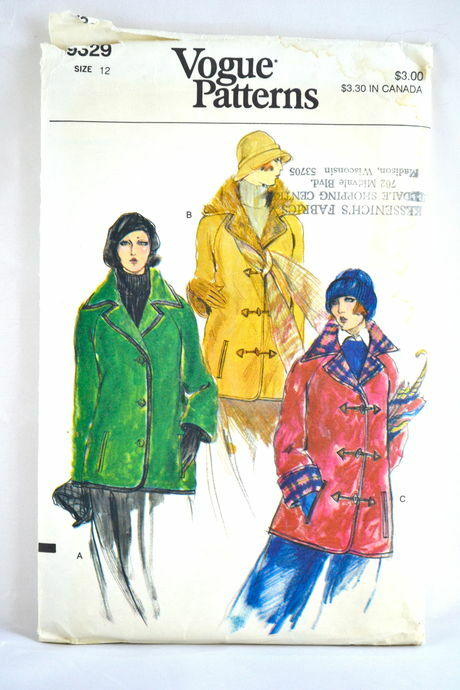 You won’t believe it but I have that issue of VPM and that jacket pattern. 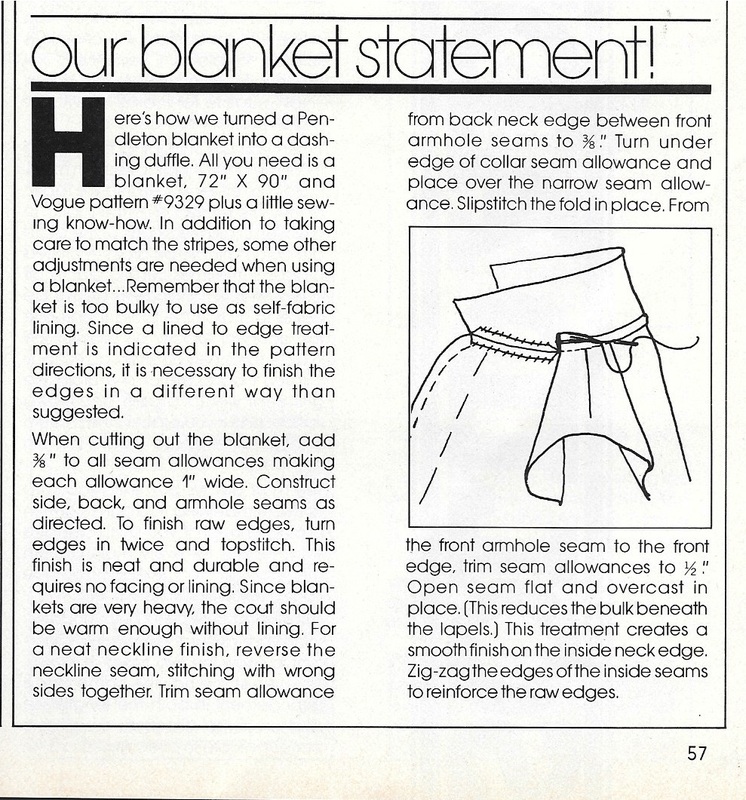 Mccalls put out a blanket coat pattern back in the 70s made especially for blankets. Nordstrom is showing some for quite a hefty price this season. 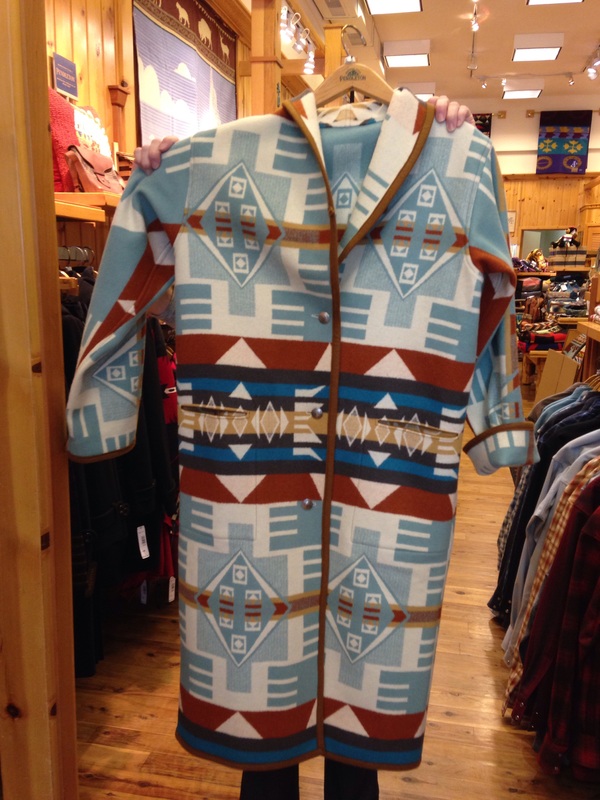 And the Gorsuch catalog always shows that look for the ski crowd up in Aspen. Hmm…I probably could pull it off up in New Hampshire! 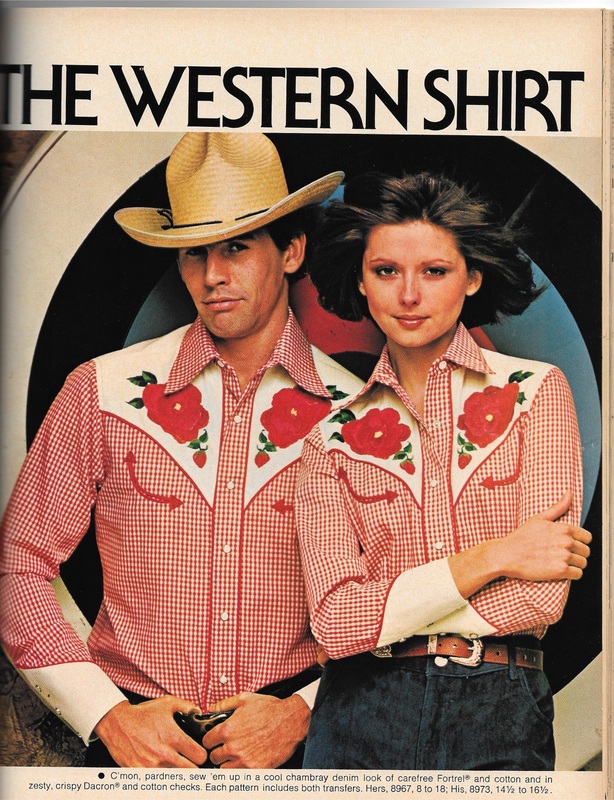 We had a great time “out West” – if we end up spending more time out there, I may just have to make myself a cowgirl shirt! (I loved Annie Oakley, too!) You could definitely sport a blanket coat (a la Gorsuch) in New Hampshire! They are actually quite practical, and timeless, too. I still think it would have to be exactly the right blanket, however!